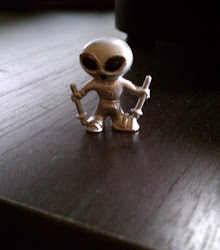 Now that I am finally about to begin the process of becoming a Certified MUFON Field Investigator, it seems a good time to review the process. It seems pretty easy: buy the manual, study the manual, take the test. Actually, it's even easier than that, because the test is right in the manual and I take the test on my own and mail it in to MUFON HQ in Greeley, CO. 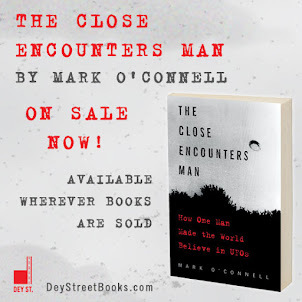 I'm not even sure why I need to go the meeting, come to think of it, except that it will be a good chance to meet some of the people I'll be working with on UFO cases. From here on out, my life revolves around this book. • Investigative Ethics. Most importantly, the Trainee must understand and adhere to the tenet of anonymity (withholding witness identifiers from persons who are not part of the UFO report investigation or its evaluation within MUFON). • Technical Background. A working knowledge should be conveyed to the Trainee on the subjects of weather anomalies, astronomy, conventional aircraft (especially lighting configurations), space satellites, photographic equipment and methods, and the soil sciences. • Back Ground Check. MUFON will conduct a criminal "Back Ground" check on all applicants prior to issuance of a MUFON Field Investigator designation. 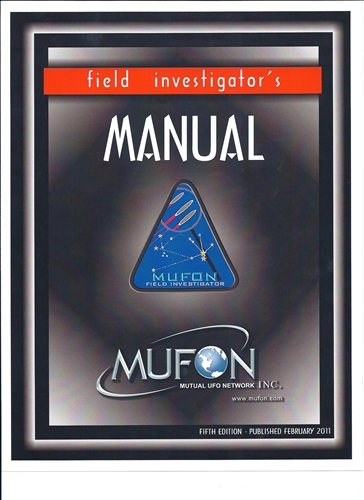 If MUFON determines the Back Ground check is not acceptable to MUFON, the Field Investigator designation will not be issued to the applicant. I think I'll do fine with the first four, but I'm a bit puzzled by the "Back Ground Check." I guess they'll want to inspect my back yard, but I can't imagine why. Over the coming week I will be delving into each of these categories, to determine my existing level of competence and pinpoint my weaknesses. Soil science, for instance. Who isn't weak in soil sciences? On the other hand, I think I will more than make up for my weakness in soil sciences with my unquestioned mastery of "Drawing Conclusions."